Richmond police arrested two people, one of them out on bail for attempted homicide, Tuesday on suspicion of numerous drug and firearm offenses, police said. According to Richmond police, detectives conducted an investigation into "suspicious activities" at a home in the 4300 block of Santa Rita Road. 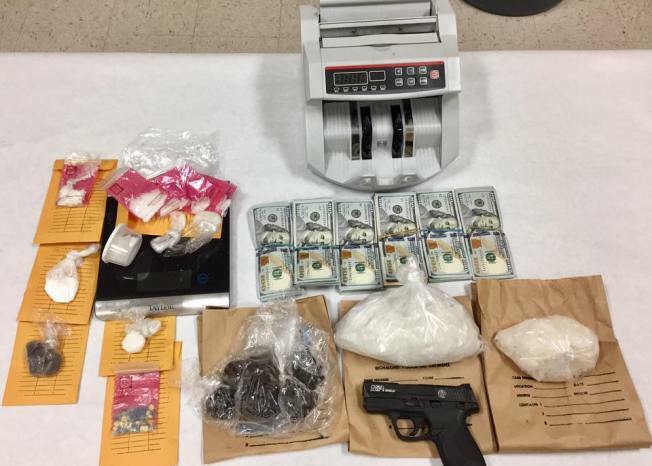 On Tuesday, police detectives and a SWAT team served a search warrant at the home and found a loaded pistol, two pounds of crystal methamphetamine, packaged crystal methamphetamine for sale, heroin, cocaine, more than 50 ecstasy pills and more than $5,000 in cash. According to police, they also found three stolen and "chopped" cars with obliterated or switched vehicle identification numbers. Police arrested a 36-year-old man who lived at the home. He was out on bail for attempted homicide in Solano County, police said. Police also arrested his companion, a 35-year-old woman. Both suspects were arrested and booked on suspicion of numerous offenses.